↑ ক খ গ ঘ NewropMag. "China: Zhao Ziyang has died!" ওয়েব্যাক মেশিনে আর্কাইভকৃত ১৩ নভেম্বর ২০১১ তারিখে Newrop Mag. 25 January 2005. Retrieved 10 September 2011. ↑ ক খ "Zhao Ziyang". The New York Times. 25 January 2005. Retrieved 15 September 2011. ↑ ক খ গ ঘ ঙ চ ছ Becker, Jasper. "Zhao Ziyang: Chinese Leader Who 'Came too Late' to Tiananmen Square". The Independent. 18 January 2005. Retrieved 18 September 2011. ↑ ক খ Ignatius, Adi. "Preface". In Zhao Ziyang. Prisoner of the State: The Secret Journal of Zhao Ziyang. New York, NY: Simon and Schuster. 2009. আইএসবিএন ১-৪৩৯১-৪৯৩৮-০. p.xii. ↑ ক খ "Obituary: Zhao Ziyang". BBC News. 17 January 2005. Retrieved 15 September 2011. ↑ Ignatius, Adi. "Preface". In Zhao Ziyang. Prisoner of the State: The Secret Journal of Zhao Ziyang. New York, NY: Simon and Schuster. 2009. আইএসবিএন ১-৪৩৯১-৪৯৩৮-০. p.xiii. ↑ Wang Hui. China's New Order: Society, Politics, and Economy in Transition. Ed. Huters, Theodore. Cambridge, MA: Harvard Press, 2003. আইএসবিএন ০-৬৭৪-০২১১১-৮. pp.56–57. ↑ ক খ Pomfret, John. "In Posthumous Memoir, China's Zhao Ziyang Details Tiananmen Debate, Faults Party". Washington Post. May 15, 2009. p.2. ↑ ক খ Pan, Philip P. "Chapter One: The Public Funeral" in Out of Mao's Shadow: The Struggle for the Soul of a New China. ↑ Wu Guoguang. "The Sacrifice That Made a Leader" আর্কাইভইজে আর্কাইভকৃত ৮ জুলাই ২০১২ তারিখে. TIME Magazine. 17 January 2005 (Vol.165, No.3). Retrieved 20 September 2011. ↑ Pan, Philip P. "Chapter One: The Public Funeral"
↑ Link, Perry. "Book Review: 'Prisoner of the State: The Secret Journal of Zhao Ziyang'". The Washington Post. 17 May 2009. Retrieved 20 September 2011. ↑ "Chinese Media Muted on Zhao Death". BBC News. 18 January 2005. Retrieved 15 September 2011. ↑ Pan, Philip P. "Chapter One: The Public Funeral". Out of Mao's Shadow: The Struggle for the Soul of a New China. 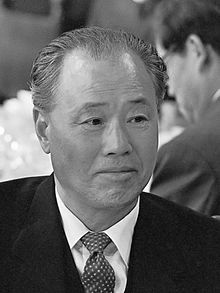 Zhao Ziyang. Prisoner of the State: The Secret Journal of Premier Zhao Ziyang. Trans & Ed. Bao Pu, Renee Chiang, and Adi Ignatius. New York: Simon and Schuster. 2009. আইএসবিএন ১-৪৩৯১-৪৯৩৮-০.